Diese Zuchtst�tten Einrichtung wurde gegr�ndet im Jahre 1980,unter der Registriernummer1869/80, welche sich damals f�r die Pudelzucht angagierte. Sie wurde neuerlich am 31. 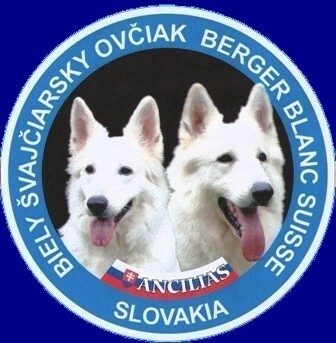 Juli 2001 ins Leben gerufen unter der Register Nummer 947/01 und nunmehr f�r die Rasse des Weissen Schweizer Sch�ferhundes. 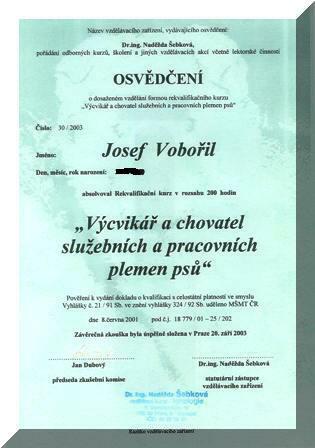 We have been breeding dogs with pedigree since 1971, our first dog was middle poodle Barth Leth� from Mrs. Hurtov�. We thank her for help in our beginning. 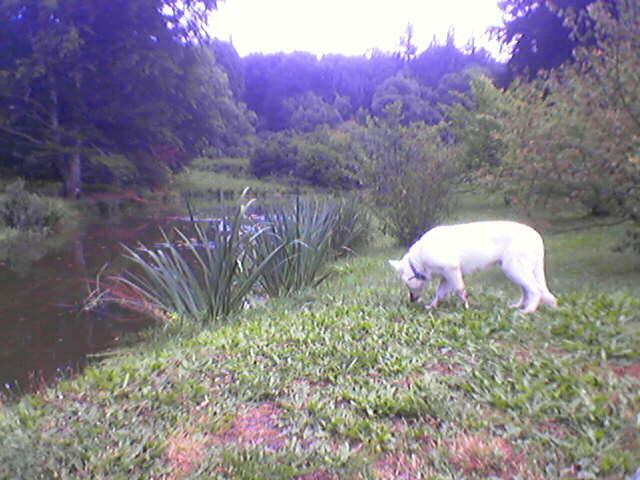 In 1999 came treasure between breeds our first White Swiss Shepherd dog (to 2003 American- Canadian white shepherd dog) Coco- Chanel White Majestics. We live in Pr�honice. 18 km from center of Prague. 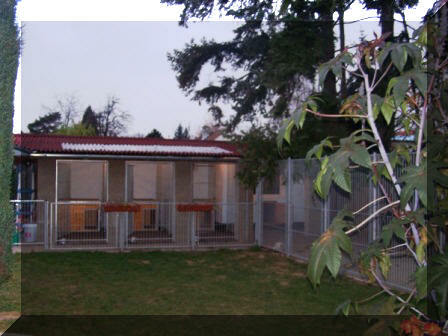 All our dogs live in "one large pen", which our family Villa with large garden. Our house is not fat away from park of Pr�honice. This is on of the largest nature parks in Europe (240 km2). 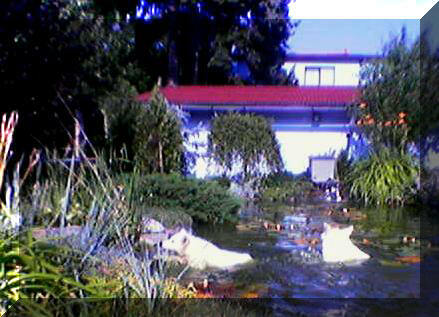 There are 40 km of paths, trees, lakes, meadows, cynology training �ground and dog shows give to our dogs variety of life. 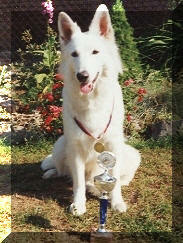 Our dogs like traveling very much.We have many Champions from different countries in our kennel. 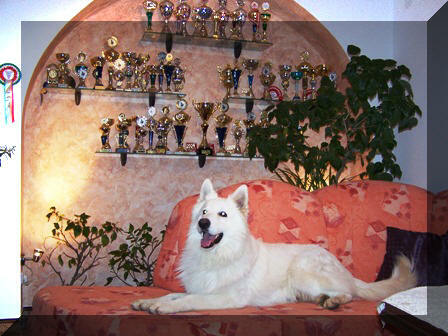 Degree of Champion is one art of the name of the dogs. 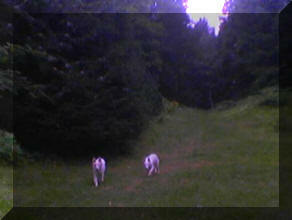 If parents have many Championships, it is supposition that the puppies will be a duality type of the breed. We don�t choose show according to judge, it manifesting that our dogs were judged from 38 judges from 17 countries in 12 states. 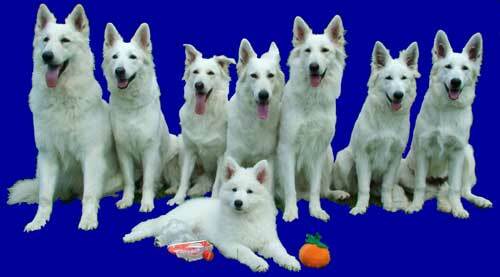 They are different numbers of this breed in shows. We like to travel in foreign countries to Club and Special shows where there are a lot of dogs (sometimes more than 100 dogs).We have a lot of successes,for example double 1st and 2nd place in Austria in 2005, 2007: Austrian Show Winner 2007 andAustrian Show Winner 2005 and the 4th 5th place in 1st FCI group Austria 2005.We propagate this breed in the states where there is is not a large population of this breed. Thanks to our hobby we have met many wonderful people from all parts of the world who inspired us in many ways.We are willing to learn and to teach others. We are strong believers in team work. 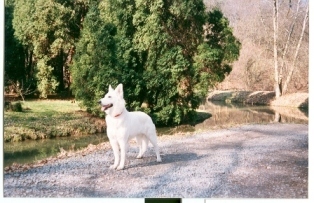 We love white shepherds for their love which they give to their family, their elegancy as well as their universality. 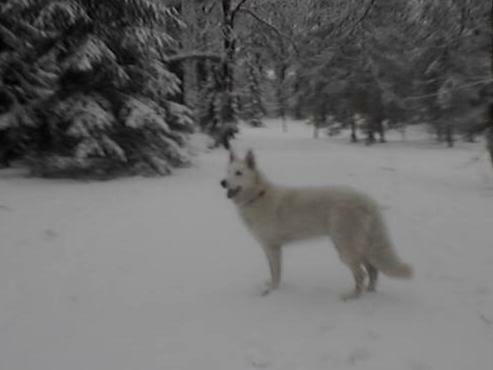 White shepherd is suitable as a fancy breed, for education, for sport, for love and security, it is suitable for the city and also for the village. But least isn't suitable for people without patience. We don't breed dogs only for gain. We carefully plan every litter. It is very important health and character of parents. 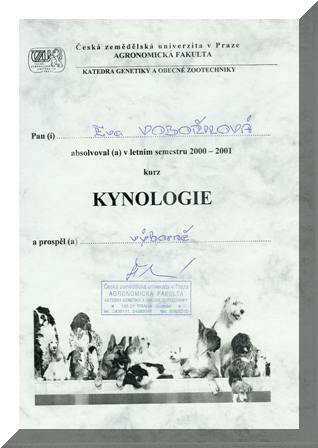 The next important reason is to create breeding line without inbreeding.
. We have the tests of DNA for all our dogs. We are still studying special literature. We were absolved courses and workshops with the main theme being cynology. 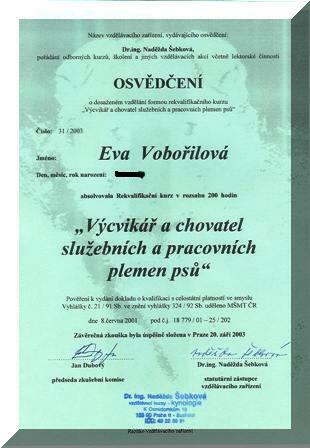 "Trainer and breeder of working and guard dogs Certificate"
The puppies grow up in a family environment. Dogs are still in contact with us.We think that a long time of life spent in the pen has a negative influence on the puppies' character for the future. 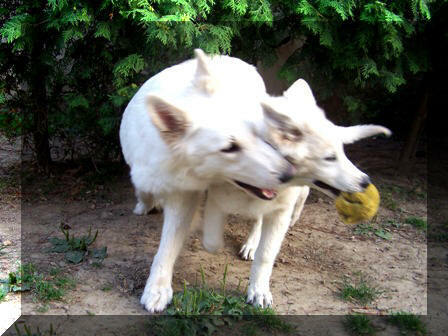 It is wonderful to see dogs during playing and share their feelings. 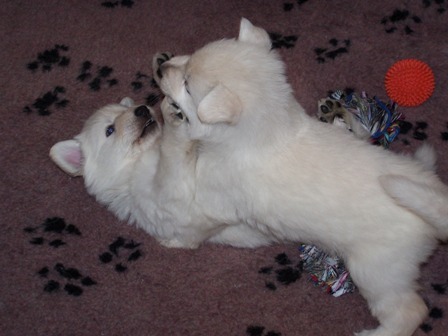 is fascinating to observe puppies during growing up, to watch how they are learning something new every day.Every dog is different as well as every litter. And when from small dog baby will grow up adult and self-confident dog which is your friend, what should we want more�. If you choose a puppy, don't forget the cost of food, vet etc. These costs are higher than the price for the puppy. We don't lost contact with the puppy after sale. We try to by in contact with new owners and we are ready to answer questions and to help with any problems. 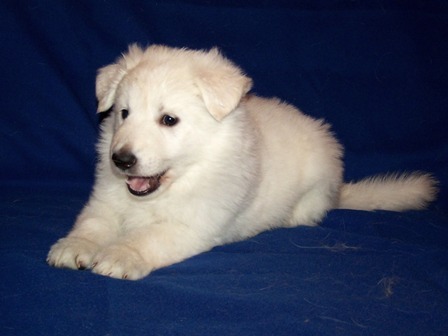 If you are interested in the white swiss shepherd, we are glad to answer your questions or visit!